Sinitta has revealed she still has to cross paths with her sexual assaulter but she doesn't want to report him for the sake of his children. 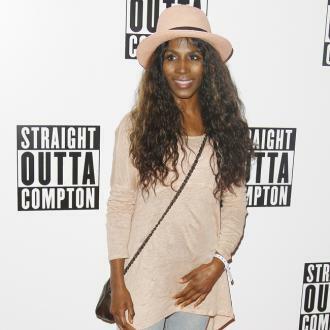 Sinitta still sees her sexual attacker at showbiz events. The 'So Macho' hitmaker revealed earlier this month she was assaulted by a ''powerful man'' in the basement of her then-boyfriend Simon Cowell's holiday home and, although the frightening incident has left her crippled with anxiety, she finds herself ''tip-toeing'' around him when she bumps into him. Speaking on 'Good Morning Britain' on Tuesday (26.06.18), she said: ''[He's a] very famous, very powerful man. I think that's what scared me. Which in a way is a different type of prejudice. However, despite the trauma he's allegedly caused her, the 54-year-old singer doesn't want to name and shame the man because she doesn't want to ''ruin the lives'' of his children and his wife. The brunette beauty decided to speak out about the incident, which took place in France, after the #MeToo campaign - an international movement against sexual harassment and assault - was launched earlier this year following the sexual misconduct allegations against Harvey Weinstein. She said: ''The #MeToo movement triggered really unhappy memories and I didn't think of myself as someone with mental health issues, but actually learned that unresolved trauma is causing anxiety and all kinds of things. I was listening to other people's stories and getting really upset. ''I called Simon [Cowell] and I said, 'Look I think I've got to say something'. You feel guilty, you feel responsible. He said, 'Go away, have a Christmas holiday, calm down, really think about it because of course this can open a can of worms and there's lots for you to deal with, but of course I'm right beside you if you want to go ahead'. I was writing my autobiography anyway but I was kind of not going to include those things because I thought they weren't nice, obviously they're not nice, and then realised actually I'm not being true to myself. 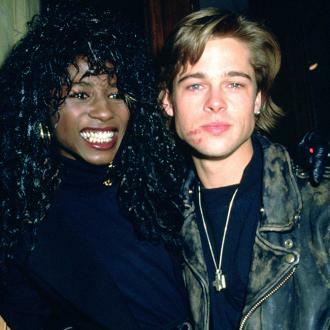 Sinitta recently revealed that she was showing the unnamed sexual attacker around Simon's house when he dragged her on top of him in the basement and starting taking her clothes off. She said: ''I was showing a guest to one of the guest rooms, it was someone that was staying with us for the holiday weekend. I was quite surprised because some of the nicer rooms, with a view, he was like, 'No, no'. I said there's some rooms down there, which aren't so nice, [he said] 'Oh let me see them'. We're in the basement now, probably what would be the most undesirable rooms on the property, he said, 'Oh yes I like this one', threw himself on the bed. ''I was like, OK, and as I bent down to kiss him goodnight to leave, he pulled me down on top on him rolled on top of me and you know... it was urm, it all happened so quickly as well. Yeah [he assaulted me]. He basically started to try and get my clothes off and everything. Sinitta immediately told Simon and the music mogul confronted the man.